A personal tragedy forces Oni to push beyond the boarders of her village, in search of an unspeakable horror. As she assembles the pieces of an ancient magical contract, Oni leaves a bloody trail behind her, careening towards darkness, death, and worse. We take pains to animate and create unique portraits and personas for every character in our 60+ cast of characters.We don't do throw-away NPCs. Thistledown is a small, personal story set in an epic fantasy world. It's a meditation on the pain and helplessness that we feel in the face of tragedy, and how we cope. 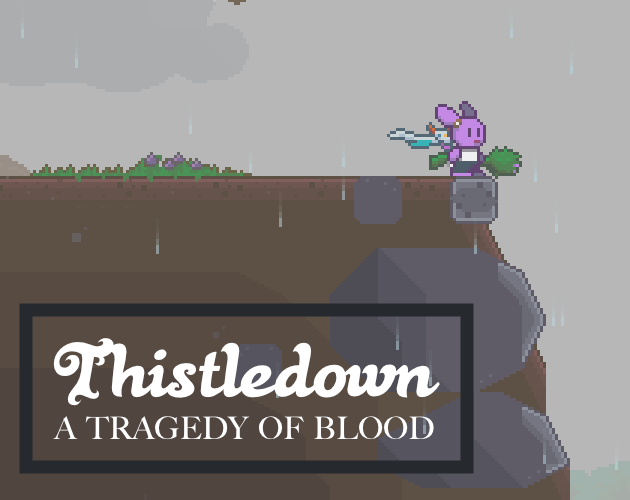 If you prefer your games light and insubstantial, Thistledown is not for you.